Duane Bobick started boxing at age 16 in Golden Gloves, and became one of the best amateur boxers in the United States. He was a three-time All-Navy champion and two-time All-Service champion. Standing 6’3” and weighing 215 pounds, he won the United States AAU Heavyweight Championship in 1971 and also won the gold medal at the 1971 Pan American Games. As an amateur, he compiled a record of 93-16 with 61 KO’s, beating Larry Holmes to be named to the ’72 US Olympic team for the summer games in Munich. After turning pro, Bobick won his first 19 fights by knockout, gaining a top-10 ranking. 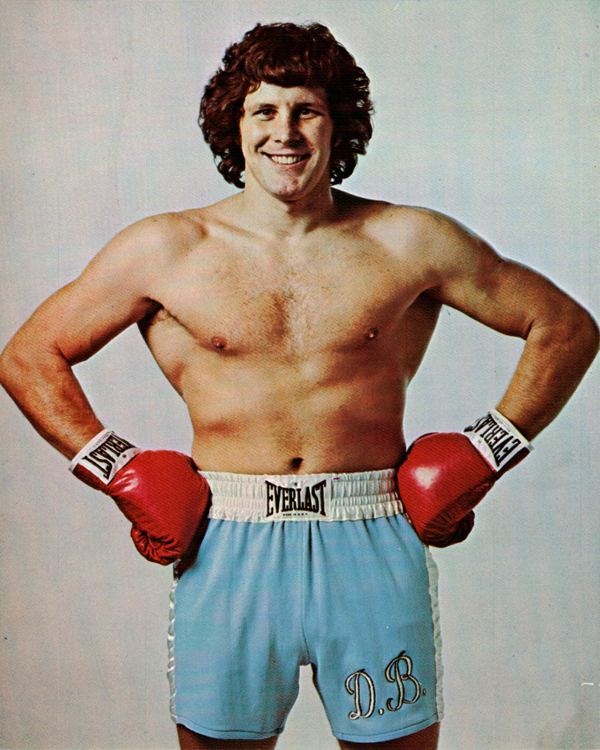 He was 38-0 before he lost his first fight, a heavyweight title elimination bout in 1977. He retired in 1979 at age 28 with a professional record of 48-4 with 41 KO’s. Duane Bobick of Minnesota was a 1968 Royalton High School graduate. He was an outstanding athlete, excelling in baseball, basketball and football. “Up to three years ago, he held the record for the highest batting average in high school,” Duane’s wife Debi recently told me. He also earned All-Conference high school honors. But it was boxing where Bobick made his niche in sports history – a sport he didn’t take up until after he enlisted into the Navy. Boxing became Bobick’s new sport and he excelled in it. As an amateur, he won the All-Navy Title, the Inter-Service Crown, the National AAU Title, National Golden Gloves Title, World Military Heavyweight Title, the North American Championship and the Pan-American Gold Medal. But Duane set his sights on greater things. “He had this dream in high school to be in the Olympics,” Debi tells us. And in 1972 Duane realized that life-long dream. In 1971 Bobick unanimously defeated the great Cuban Teófilo Stevenson at the Pan American Games to bring the US a Gold Medal. Following that victory Bobick battered future professional world champion Larry Holmes over three rounds until Holmes was disqualified for excessive holding. Duane had captured a berth on the 1972 US Olympic Boxing Team, thereby fulfilling his dream! There was some hesitation in Debi’s voice as we spoke about the 1972 Olympics in Munich. Recalling the events as I remembered them, I brought up the Munich Massacre. This was the end of Bobick’s amateur boxing career, where he compiled an outstanding ring record of 93 wins with only 10 losses… with 60 of those wins coming by knockout. Duane stood his ground and was stopped in the first round. 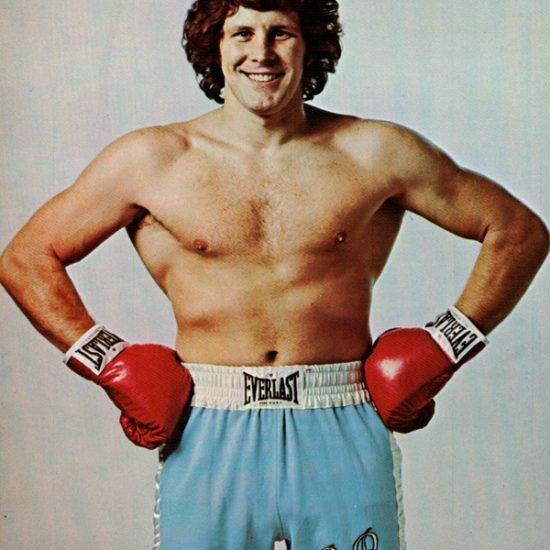 As a boxing fan in the 70’s this is the tenacious Duane Bobick I remembered. As we say in boxing, “it isn’t the size of the dog in the fight but the size of the fight in the dog,” and that best describes Bobick. Bobick returned to the ring just a little more than two months later to defeat Scott LeDoux for the Minnesota heavyweight title. Over 9,000 people attended the fight to see Bobick knock LeDoux down twice, stopping him in the 8th round. Bobick retired as a pro in 1979 compiling an impressive ring record of 48 wins with only 4 losses, with 42 wins by knockouts… an accomplishment in an era when the heavyweights ruled the sport! Following his retirement from boxing Bobick returned to his home roots of Minnesota and found work in a paper mill. In 1997 he suffered an industrial accident. Both arms were pulled into a machine used to split rolls of paper. The bones in both arms were crushed and the skin, muscles and tendons ripped from the bone. But Bobick, the true fighter he has always been, “Never quit and he never complained… ever.” relayed Debi. Before and especially after the accident, Bobick was a volunteer in helping people. He received the Governor’s Volunteer Award, Acts of Kindness Award for school, hospital and church work. In 2006 he was elected to city council. But the accident had a devastating toll on Bobick. He was suffering from CTE (Chronic Traumatic Encephalopathy) a degenerative disease of the brain, and the trauma and pain from his accident was said to have accelerated his condition. Because of this condition Duane was unable to join us in person for his induction. Unfortunately, the news recently became sadder as Duane was placed into specialty care because he could no longer be attended to at home.